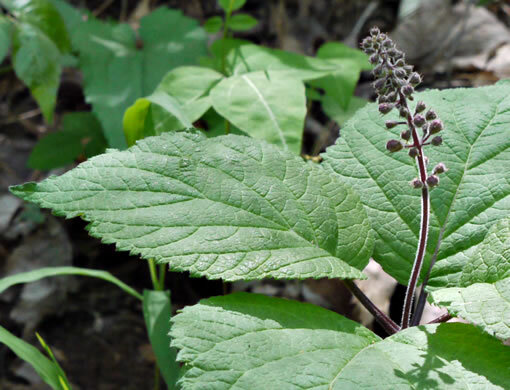 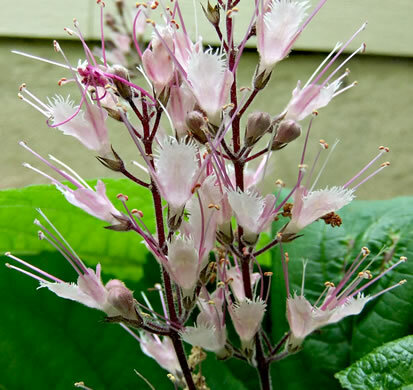 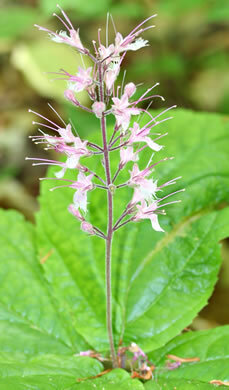 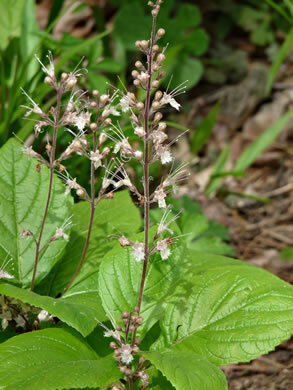 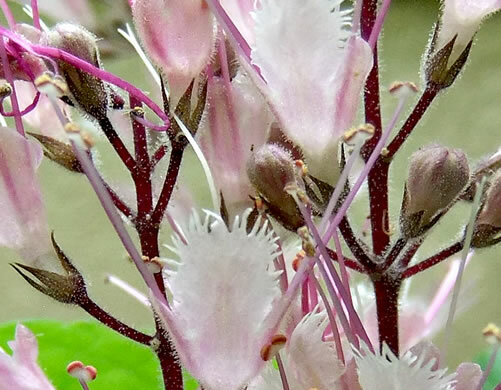 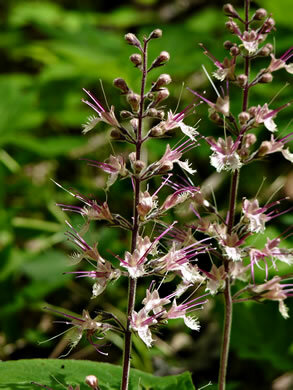 The inflorescence is usually unbranched, per Wildflowers of the Southern Mountains. 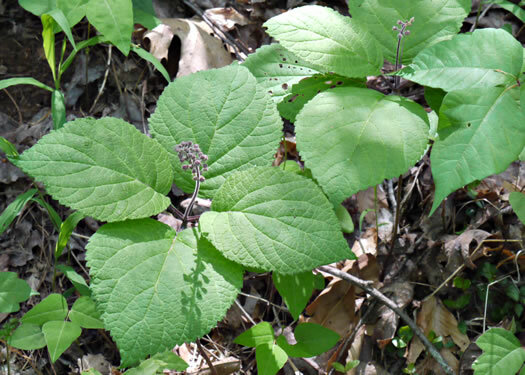 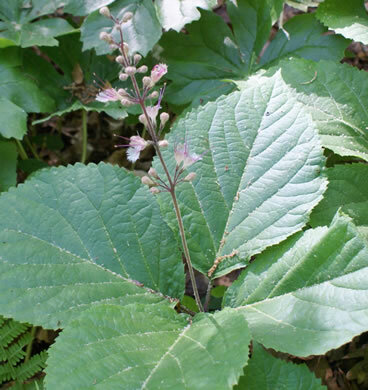 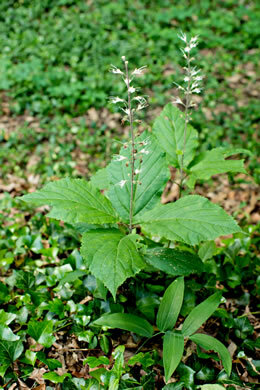 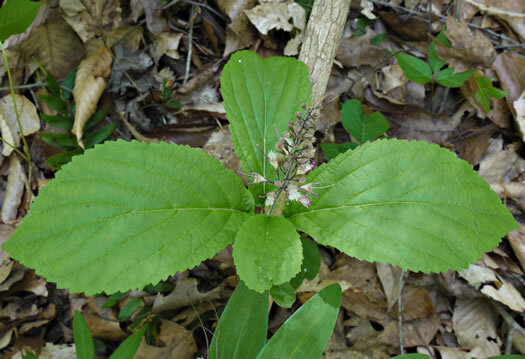 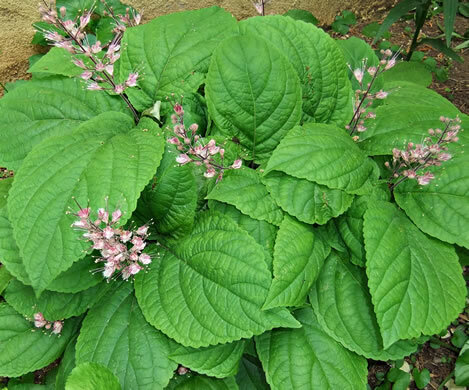 The two pairs of opposite leaves, appearing whorled, are distinctive, per Guide to the Wildflowers of SC. 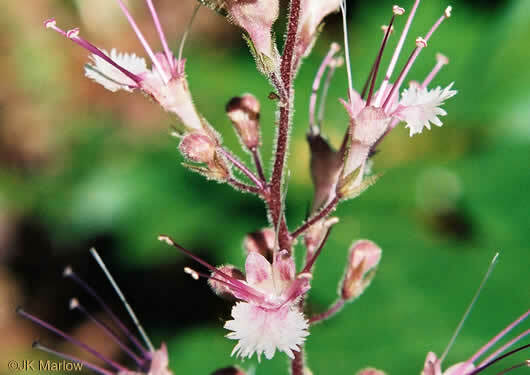 A 2-cleft long-exserted stigma and 4 long-exserted stamens, per Vascular Flora of the Carolinas. 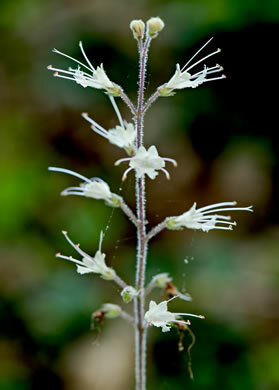 Calyx zygomorphic, 2-lipped and 5-toothed, 3-6mm long at anthesis, per Vascular Flora of the Carolinas.